The Falls of Clyde which is the only surviving iron-hulled, four-masted ship currently docked at the Hawaii Maritime Center near Aloha Tower. Sadly some of the rigging has been taken down as the ocean prepares to reclaim the ship. 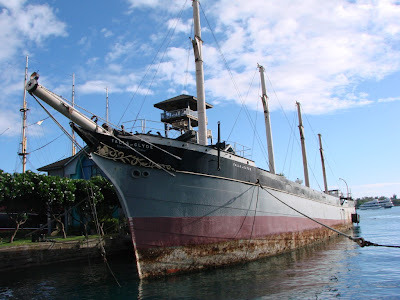 If private funds are not raised the Bishop Museum plans to sink the boat sometime later this year. We will be off on Monday for Labor Day see you again on Tuesday. 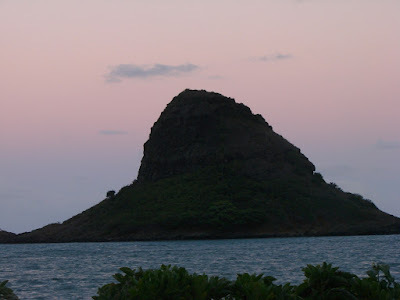 We end the day and our series on Chinaman’s Hat with the sun setting leaving a pink hue over Chinaman’s Hat. After a fantastic voyage to and up Chinaman’s Hat and a little more food its time to pack up and head home. I hope you enjoyed this series. 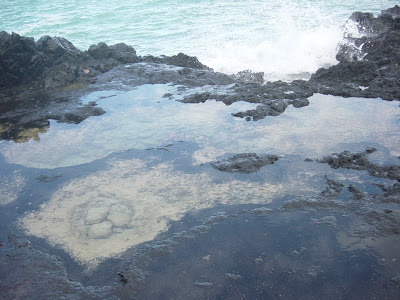 As we journey back to our starting point on the backside of Chinaman’s hat we came across these tidepools created by the Pacific Ocean waves splashing onto the rocks.